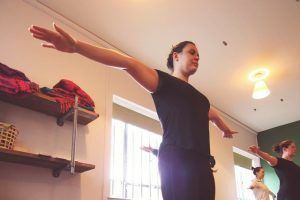 This workshop is aimed at those with poor upper back/neck mobility and strength, anyone who suffers with tension in the neck and shoulders or weakness in the shoulders or who just want to improve this area. We will be looking at how the shoulders move and work, their link with shoulder, neck and back pain. We will then explore stretches, mobilisations and exercises to help restore their proper function and movement. You will also receive a programme to help you continue at home.